It’s going to take a lot for me not to start yammering on like Ruby Rhod when I talk about the Fifth Element. I’ve been in awe of it ever since I saw it as a kid. From the story, to the characters, to the sets, to the outfits, everything in the Fifth Element is executed at an absolutely stellar level. Surprisingly, all this has not prevented the movie from being mocked, and even the good folks at Rifftrax have dedicated an episode to the movie. On one hand, that’s blasphemy. On the other hand, the Fifth Element is most definitely a weird movie (and a very French one at that, which to me just adds to more of its charm), and even though I haven’t heard the Rifftrax on it, I can easily think of some aspects of this movie that can serve for mocking ammunition. The Fifth Element is definitely an eye-candy of a movie, and unfortunately this causes the music to take a backseat even though it’s playing through 90% of what we’re seeing on screen. I’m not talking about the whole scene with the space diva where the musical performance is front and center. I’m talking about the rest of score which is such a wonderful complement to this film. Just think of the challenge for composer Eric Serra (another Frenchman): a setting where all of earth’s cultures and the world’s cultures are forced to interact sometimes violently, sometimes more amicably like a Thai food space truck meeting preparing us food at our apartment. 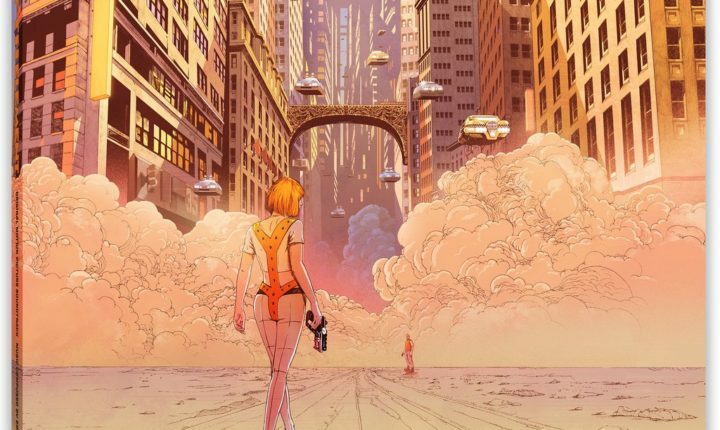 The Fifth Element has to jump from style to style and does so beautifully. Serra composes reggae, military fanfare, opera (and what is this if not a space opera? ), hula, African, Middle Eastern and rap among others to provide the perfect auditory compliment to visual barrage hitting our eyes. 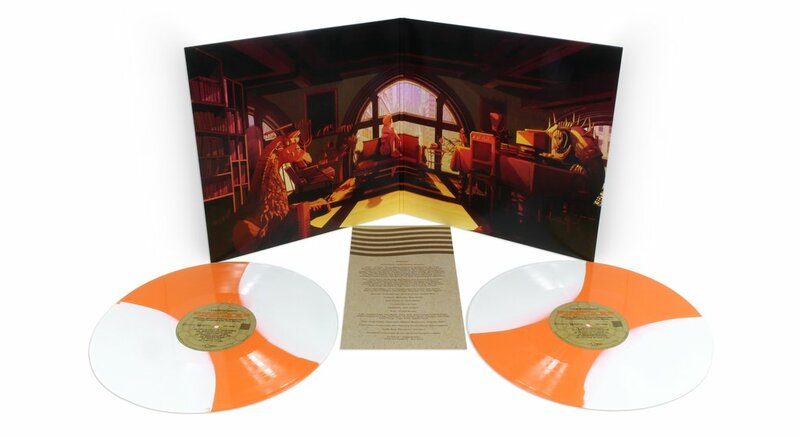 It feels good knowing that Mondo is handling the 20th anniversary of the soundtrack, and you this is real talk because their way of celebrating this movie is offering the soundtrack for the first time on vinyl, on double 180g LPs either white and orange or super green (perfect, am I right? ), remastered, with all new artwork by Shan Jaing. Few soundtracks sound as good as the movie looks, and the Fifth Element is most definitely one of these rare cases. And Mondo’s release matches this level of quality and attention to detail. The Fifth Element soundtrack is still up for preorder on Mondo’s Website.